It’s Friday, so that means it’s time to go back over some of the big new from the past week. I hit the big notes yesterday – new Xbox One bundles, PS Share, Silent HIlls and Rise of the Tomb Raider‘s Xbox One Exclusivity. I think the other major headline from the show has been the sales figures for the PlayStation 4. 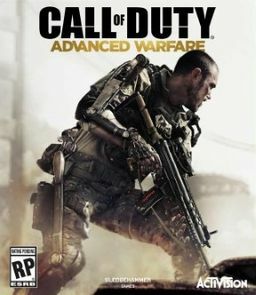 Not only has it outsold the Xbox One seven months running, but it’s sold a total of 10 Million units. Sony made a point of emphasizing that this is actually the number of units sold, not shipped to retailers. That’s a crazy amount of consoles – now Sony just has to capitalize on the fast start. Xbox isn’t dead in the water though, despite what internet commenters might say. Doubling the Xbox One sales in the month of July is a good sign that people are starting to come around to upgrading, and the lineup for this fall should help move units too, especially with the new bundles. Xbox also announced they are adding digital pre-orders and pre-downloading for select titles coming up soon. During the Xbox Press Event we also got our first look at gameplay for a couple Xbox Exclusives – Quantum Break and Ori and the Blind Forest. 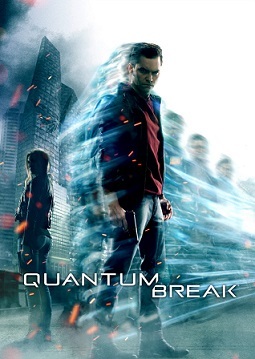 With the Quantum Break demo, we got our first look at how time impacts the action, specifically the way that the player can control it. I’ll admit that I’m not a huge fan of time stopping or manipulating mechanics in action games, but I want to hold off on judgement at this point. Ori and the Blind Forest on the other hand takes a fresh look at puzzle platformers, adding in some pretty nifty ideas for movement and attacking, along with the checkpoint mechanic. Add in a really crisp, beautiful art direction, and it’s shaping up to be a pretty solid Holiday offering. Throughout the week, we’ve also gotten little bits of info for a number of other games. Evolve showed off a new map, as well as announcing that the Beta will be held in January. Halo: Master Chief Collection showed off gameplay footage on Sanctuary, and also announced the Halo 5: Guardians Beta will run from late December into January. The also announced the Halo Channel, a hub app for the Xbox One that will have all the Halo you could want. Assassin’s Creed showed off a new trailer for Unity and also talked a bit more about Rogue, detailing the new frigid water environments as well as assassin enemies. Sunset Overdrive had a new gameplay demo and trailer, and they announced that the eight player co-op multiplayer features pretty seamless transitions away from the single player. 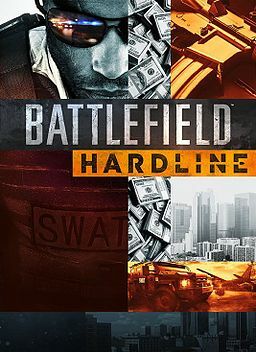 Battlefield: Hardline showed off a new multiplayer mode – Rescue – as well as showing off 12 minutes of the single player campaign. All in all, I think this was a pretty solid Gamescom – it built very well on the momentum for all the developers and publishers from E3, both by just showing off the games, as well as unveiling a lot of new info. We got our first look at Call of Duty: Advanced Warfare’s multiplayer, a lot of new Xbox info, a really cool teaser for Silent Hills from Sony and lots and lots of awesome gameplay footage. Earlier this week I talked about the new Call of Duty: Advanced Warfare multiplayer news that came out of Gamescom. Yesterday I shared a couple trailers that really impressed me from the show. Today I want to hit a couple of the headlines that have come out from various publishers. First off, Microsoft dropped the news that Rise of the Tomb Raider will be an Xbox One exclusive for the Holiday of 2015. During their press conference, that was all they would say on that bit, and as a result, the fanboys (both Tomb Raider and PlayStation) got a little over reactionary as they are wont to do. However, as I think most cool headed people thought, it was revealed that it was only a timed exclusive, giving Xbox the edge on the Holiday launch window, but the series isn’t leaving the console that it saw its start on. Other than that, no new info on the game though. 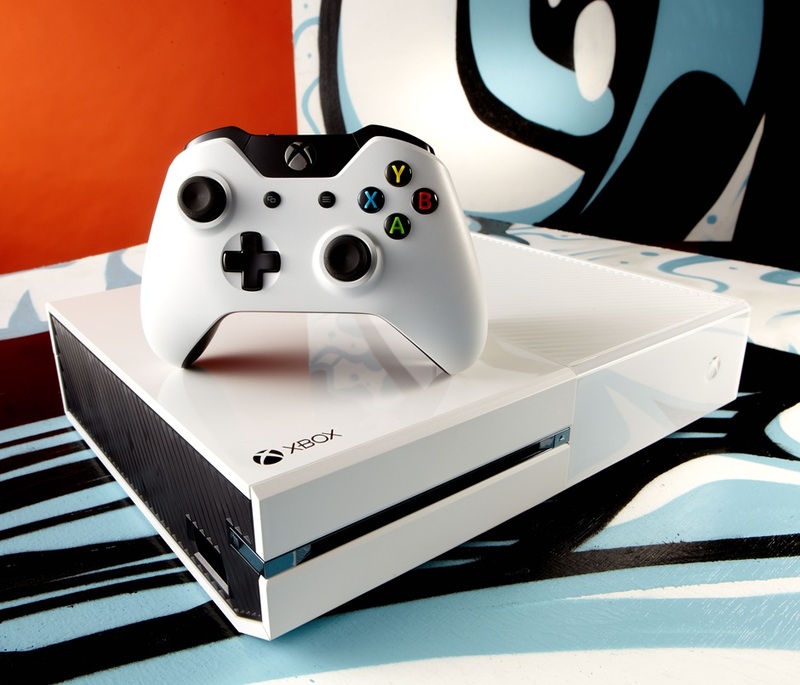 Microsoft also announced a few new bundles for the Xbox One at their press conference. First the announced a FIFA 15 bundle that will only be available in Europe. This is most likely a parallel to the Madden 15 bundle that is available in the States, pairing the console with the most popular sports for those regions. Second was a bundle with Call of Duty: Advanced Warfare, featuring a custom paint job on the console and controller, the “Day Zero” edition of the game digitally, and what I would think is the main selling point, a 1 TB hard drive. Since players have to instal any Xbox One game, even with physical copies, that extra hard drive space is a great addition. Finally, Microsoft announced a Sunset Overdrive bundle, which features a really crisp looking white console, along with the Day One edition of the game. Switching gears to Sony now, we learned a little bit more about that really cool feature they announced at E3 with Far Cry 4 – the ability to play with a friend who doesn’t own the game. Essentially, the player that owns the game sends an invite out, the other player then accepts it and can access the first player’s PlayStation. They can then play the game on their console by streaming the video from the first console. They are basically taking over the first player’s console – meaning the first player can’t really use it while they’re playing. It’s a neat idea, but I want to see how well it really works in practice before I start heaping praise on it. Sony also had what might be the coolest announcement in years. The game itself is a pretty big deal, but coolest part of it was how they went about doing the announcement. They told everyone about a new “Interactive Teaser” in the PlayStation store and told them to go play through it to see the new game. It’s an innovative way to use the online store’s capabilities to get fans around the world involved. 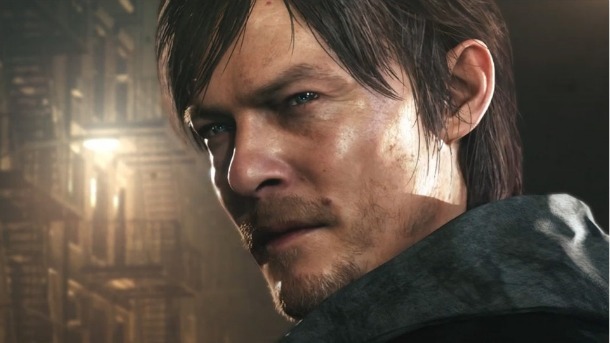 As for the actual game, at the end of the teaser it’s unveiled as being an announcement for Silent Hills, a new entry into the classic survival-horror series, being developed by Hideo Kojima and Guillermo Del Toro and the main character will be played by Norman Reedus. While it’s still really early, it’s hard to not get a little excited for this one – I fully expect a very unsettling and creepy game from this team. There’s a lot more news to hit that’s come out from Gamescom, and I’ll hit a few more game-specific stories tomorrow. E3 gets a lot of the hype every year for being the main place that developers unveil their new games and news, but in reality there’s a bigger show held every year in Germany – Gamescom. Gamescom always draws a larger crowd, but because it’s not held in America, developers tend to bring the bigger reveals to E3. That said however, Gamescom always also has a ton of major news, helped by the fact that it’s held every year close to the fall release window. Since there’s always a ton of info that comes out, today I thought I’d run quickly through some of the new trailers that have come out of the show so far. I already talked yesterday about my thoughts on the new Call of Duty, and the trailer they shared with us hits the highlights. I think showing the game in action really helps understand the new mechanics. In yesterday’s post I shared the Multiplayer trailer – today, instead of rehashing it, I’m going to share the entire conference, because they know way more about the game than I ever will. While EA’s upcoming entry in the long running franchise was recently delayed till 2015, they did unveil a new trailer showing off the single player story. In the trailer we get a little bit of a taste of the actual story, but they do show off some of the new mechanics that we’ll get to use, including the “Freeze” system and the Scanner. Screamride is a game that totally took me off guard during the Xbox press conference. Taking the real fun from Roller Coaster Tycoon (trying to destroy the rides in crazy manners) as the heart of the gameplay, Screamride looks like it should be a nice, mindless bit of fun. 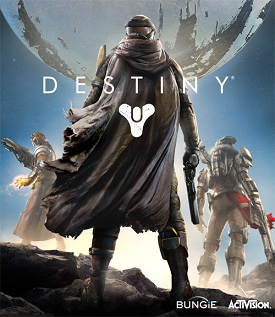 In case it wasn’t obvious during the beta, but I’m definitely excited for Destiny. At Gamescom, Bungie showed off a little bit more – including some of the PlayStation exclusives, as well as the timing of the first expansion for Destiny, which will drop in December. Trailer-wise however, Bungie gave us a new trailer showing off the Crucible, detailing more of different competitive modes. The other game that I’m probably the most amped for this fall is Halo. As a long time fan, just about any news about the Master Chief Collection just gets me giddy. It’s a franchise that is near and dear to my gaming heart, and at Gamescom we saw the announcement of the updated Sanctuary map from Halo 2, one of my favorites from that game. In the Halo 5: Guardians trailer I also noticed another old favorite – Midship. The trailer they showed off also showed my one of the best levels in Halo 2 – Delta Halo. Gamescom is a bit like a second E3, so there’s a lot more to talk about. I’ll do my best to hit the highlights over the next couple days. Things have gotten pretty Call of Duty heavy around here again, but that’s pretty much how it always goes toward this time of year. Yesterday at Gamescom in Cologne, Germany Sledgehammer Games showed off the first look at Advanced Warfare Multiplayer. I’ve been pretty on the fence about this year’s entry, just based around the strength of this fall’s release schedule, but after Evolve‘s delay, along with my slow progress catching up in Dragon Age, Call of Duty may have earned a slot back in my fall rotation. Yesterday’s reveal did more to sell me on this year’s game than the E3 info did, mainly by solidfiying a lot of the info around the Exo-suit’s role in MP. Let’s dive into the info a little bit. The big selling point for Sledgehammer is the Exo-suit – basically turning your soldier into a super-soldier. We saw how it worked in campaign back at E3, but I think most gamers were curious exactly how it would work in the multiplayer. I think, perhaps justifiably, that there were a lot of fears that the suit would turn the game into a Titanfall clone. 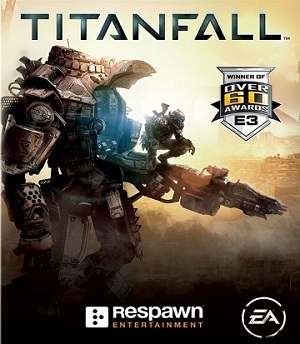 Taking a second to just think about that in relation to the three year development cycle really should have wiped that fear away – Sledgehammer most likely developed the suit years ago, using the same thought process as Respawn and Bungie – bring back verticallity and mobility into the shooter arena. While the suit definitely adds a lot, one thing it doesn’t is wall running – one of Titanfall’s major defining features. There may be similarities, but I really think they will feel, and play, different enough. Double Jumps, Jump Dashing, Boost Slides all add in all kinds of different ways to move – and fight – throughout the maps; it’s going to be a bit of a shock to the system that I really think the franchise needed. The suit also has a built in customizable ability that can be used as long as the charge is there – this could be a cloak, ballistic shield or a hover ability. This adds even more variety to gameplay – which really seems to be the focal point of Sledgehammer’s development. Speaking of variety, that’s a great segue to talk about the create a class system for Advanced Warfare. One thing I noticed from watching the reveal last night was a really noticeable similarity to the Treyarch developed games. This extends to the create a class model. In Black Ops II, Treyarch allowed players to really customize their loadouts with the “Pick 10” system – giving you ten points to allocate among primary, secondary, perks, grenades and wildcards. In Advanced Warfare we will get the “Pick 13” system – those three extra points will come in handy, since we will be able to customize primary, secondary, perks, grenades, wildcards – and the new Exo suit abilities and, for the first time, scorestreaks. Adding in this degree of freedom lets the player really fine tune their loadouts so they’re exactly the way they want them. With all of the possible options, it’s a good thing that Sledgehammer has also created the Virtual Firing Range, letting players hop right in from the game lobby to try out their weapons. One thing that has never really been the Call of Duty franchise’s focal point is player customization. 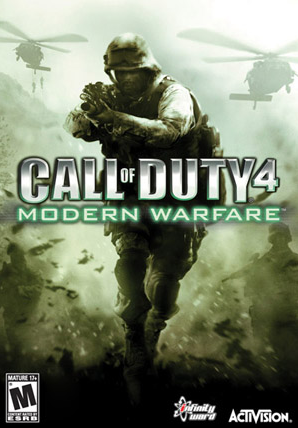 From Modern Warfare 2 up through Black Ops II all we could really change is the playercard and emblem – Ghosts was the first game to really offer any sort of player customization. From what we saw last night, Advanced Warfare is taking it up a bunch of notches. Every aspect of your player can be tweaked to your liking, further enhancing your connection with your avatar. While this customization doesn’t exactly influence gameplay – Sledgehammer is bringing in one way that will. For the first time, players will be able to customize their scorestreaks. At the expense of needing more points to earn, the scorestreaks can be upgraded with some awesome upgrades – the example they showed in the reveal was using the Remote Turret (another Black Ops influence). Normally a turret that uses a chaingun, with a base score requirement of 600 to use, they showed off two upgrades for it, each with a cost of 100 extra points. The first switched the turret to a rocket turret, while the second allowed the player to pull it off the tripod and carry it around the map. This degree of customization will let players further nail down exactly how they use the scorestreaks to their advantage. There’s still a lot about the game that we don’t know – the full weapon list, the full assortment of attachments, the complete map list, what the level cap and how Prestige will work – along with whether Sledgehammer has a co-op mode planned a la Zombies or Extinction. With the November 4th (3rd for pre-orders) release date only a couple months away, I don’t know exactly how much more we’ll find out. Sledgehammer did previously work on Modern Warfare 3 – which they helped support pre-launch with the Call of Duty XP event, so perhaps we will see something similar to that this year.